Arugula Bianca Pizza made in the ilFornino Wood Fired Pizza Oven. This recipe is very simple and fun to make. Start with you canvas (the dough) add mozzarella cheese and provolone blend. 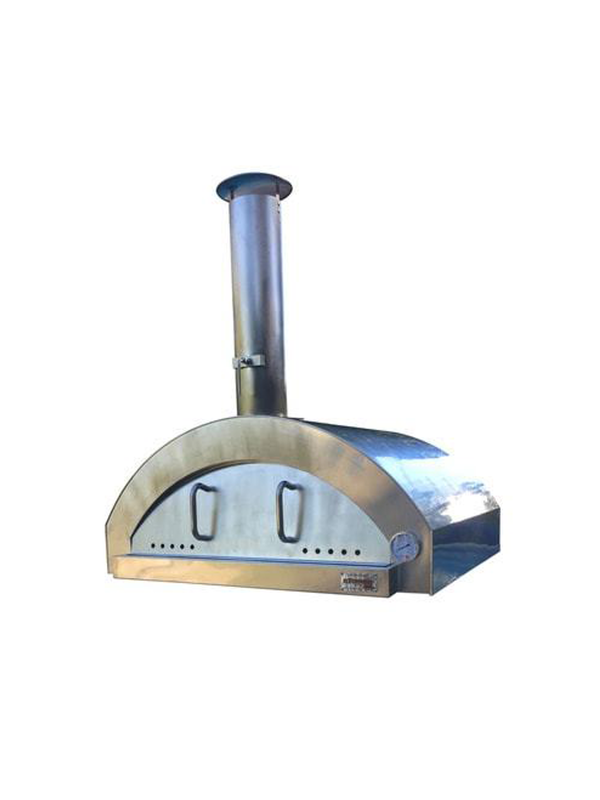 Put your pizza in your the ilFornino Professional Plus Wood Fired Pizza Oven for 90 seconds. In the meanwhile toss the arugula with some Lemon Zest, little Olive Oil, Salt and Pepper to taste, Cherry Tomatoes and Parmesan Cheese. Once your wood fired pizza is done, add the arugula on top. Enjoy! Recipe tips: You can add Prosciutto to this recipe.